From disaster response to communicable disease management, pollution control to nutrition and hygiene, and school and workplace health, public health solutions reduce the pressure on our health systems and the impact on our environment. Public health and health promotion aims to understand and act on factors that cause poor health, and those that create and sustain good health. Professionals in the sector operate on the basis that prevention is better than cure, focusing on the systems and practices that shape the health of nations, communities, individuals and the environments in which we live, work and play. With over 200 hours of industry fieldwork, including opportunities for international experience, our degree will provide you with skills to plan, implement and measure the effectiveness of public health programs. Studying Griffith's multidisciplinary Bachelor of Public Health, you'll gain the tools and insights needed to work in public health roles around the world. You'll learn how to address major health issues including chronic disease, sexual health, nutrition, HIV/AIDS, physical activity, drugs and alcohol abuse within many different populations such as youth, seniors, Aboriginal and Torres Strait Islander peoples, and in settings such as workplaces, hospitals and schools. You'll be taught by award winning teachers and world renowned researchers. You'll be able to take advantage of our industry links and gain valuable work-ready skills through professional placements, including some based in Asia — giving you the chance to gain hands-on experience and further develop your expertise in the field..
Caitlin Knapper is using her degree to help children live happy and healthy lives through a balanced diet and regular physical activity. Caitlin's work placement as part of her Bachelor of Public Health degree and her major in nutrition led to her employment as a facilitator for the Have Fun-Be Healthy program for Playgroup Australia. 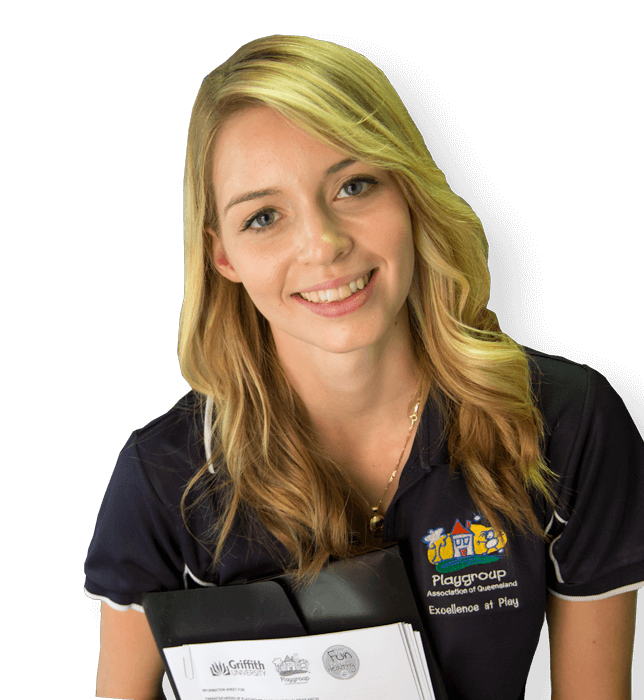 She has facilitated the program across six playgroups from Brisbane to the Gold Coast. The program is an early-intervention project that introduces healthy food concepts and physical play sessions to children aged 0-5 years, as well as their parents or carers. Public health extends to almost every aspect of human life and collective social systems, meaning there's a strong demand for public health professionals. You'll be qualified for positions such as health promotion officer or public health officer, which are recognised professions under the Health Practitioners' (Queensland Health) Certified Agreement 2011. You may expect to work in a community health centre, community-based rehabilitation centre, geriatric care agency and private health services. Public health professionals also find work in local state and government departments and agencies, non-government organisations, health centres, schools and community organisations.